A-Plus Office Movers Inc - Quality Reliable Service Since 2000. 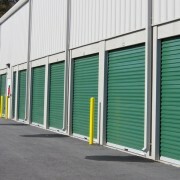 Stress Free Office Moves-Office Furniture Installations-Project Planning-Plastic Moving Bins-Heated Storage Facility. Call Tom for Your Free Estimate. Our customers say our prices are the best. Mini-Storage Indoor & Outdoor - Portable Storage & Moving Containers -Moving Boxes & Supplies-Storage Containers -Seasonal Storage-Space Capsules -Business Storage -Contractors Storage -Call Us! Reliable, Quick & Careful Service, Licensed and Insured, Household, Apartment, Offices Complete Moving Service , Packing Service & Supplies ... Call Us Today!! Grand River Moving is and always has been a locally family owned moving company serving Kitchener Cambridge Guelph Brantford and surrounding areas. Consultez le bureau de l’éthique commerciale si vous avez des doutes une entreprise de déménagement à Cambridge ON. Articles endommagés lors d’un déménagement : Que faire?